Buy Ice Pick on Amazon. Look for Archipelago in 2016. 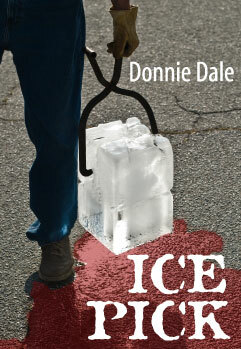 “Donnie Dale is a prose magician in his gritty novel Ice Pick. He seamlessly conjures the hard-bitten world of labor activists, brutal gangsters, and entrenched racism and bigotry in 1930s LA, caught in the grips of the Depression. —Jeffrey Greene, author of Water From Stone and Beautiful Monsters.